tracking your container, if requested, will be provided. This will keep the receiver happy. shipper and/or buyer may not know what kind of container suits their needs. export containers from USA to Europe AND AROUND THE WORLD. 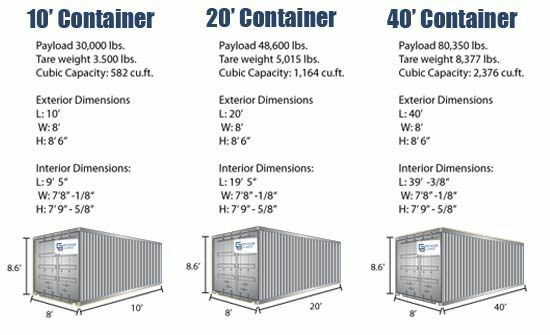 The most common container sizes are the 20 foot container and the 40 foot HC.